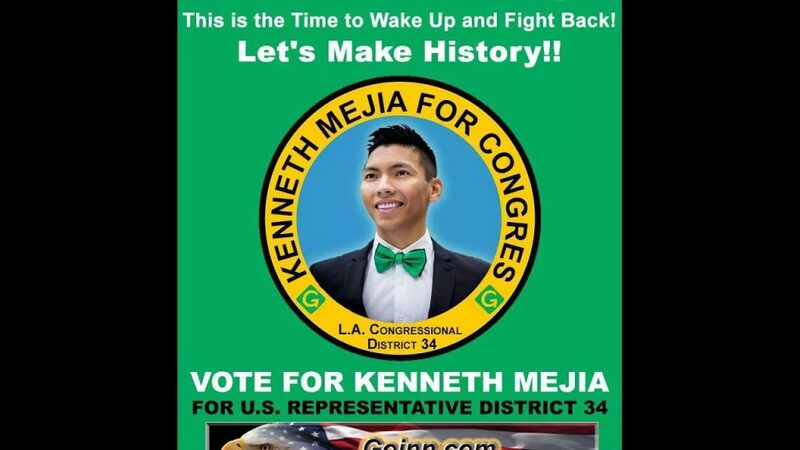 Kenneth Mejia for Congress CA District in LA is the ONE to Support no matter WHERE you Live HERE is WHY! First Be Sure you watch the One Minute featured video above by clicking on the PLAY arrow in the photo of Kenneth! JUMP on Board and Join Up for Kenneth! Please sign up to Volunteer to Phonebank or Knock on Doors! If you volunteer 1-hour a day until election day, we can seriously win! We can break the 2-party system and have the FIRST Green in Congress and OPEN the doors for the 2018 midterms if YOU jump on board! RIGHT NOW We are only a few spots away from 2nd place, which is where we MUST BE to advance, so COMMIT to OUR WIN, not MY WIN and please sign up NOW! 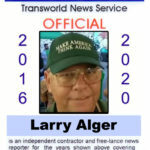 The establishment candidates have raised hundreds of thousands of dollars and are using TV commercial ads and have all the money to send out mailers without even talking directly to voters! But WE have the PEOPLE, please sign up! If you already are phonebanking or knocking on doors, thank so much and KEEP IT UP! They see us as a huge threat! Vidit his website or Facebook page links below! Look I have much more for YOU to See and Share about Kenneth! Get On It Folks! Damn It Get ON IT!!! NOW!! !